this edition of framework:afield has been produced in south korea by ian-john hutchinson. for more information see http://soundcloud.com/ian-john-hutchinson. 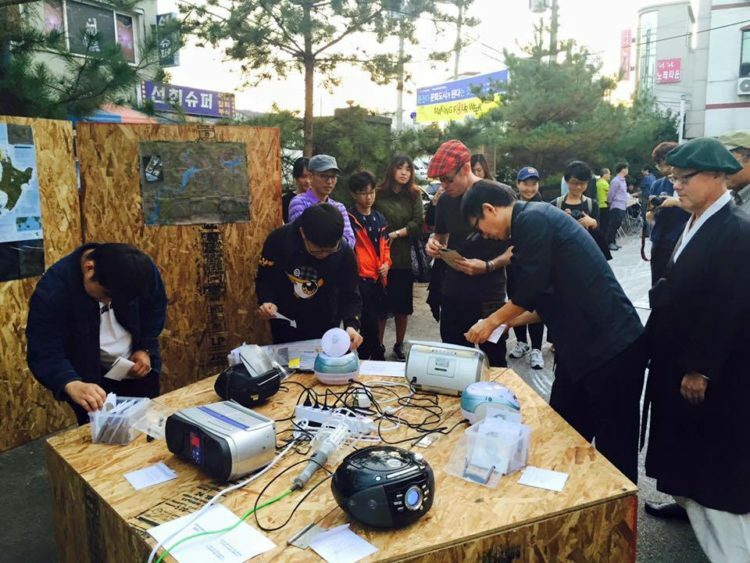 Field Recording in recent live performance in South Korea. What is the nature of the contemporary sound object? 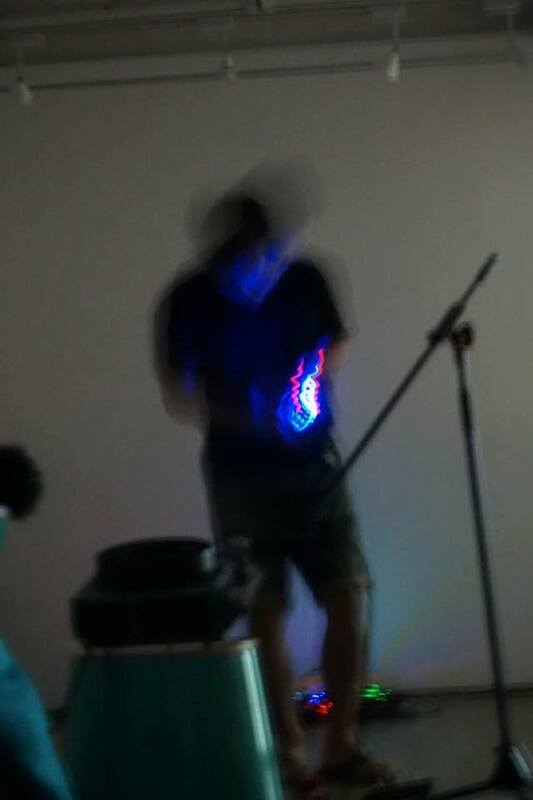 Some overlap, some reinforcement among these questions will be sought in the context of the recent use of phonography for live performance in the South Korean speculative music scene. There are four artists whose live performance documents can be heard in this short program. The first is Korean artist Lee Daeil. 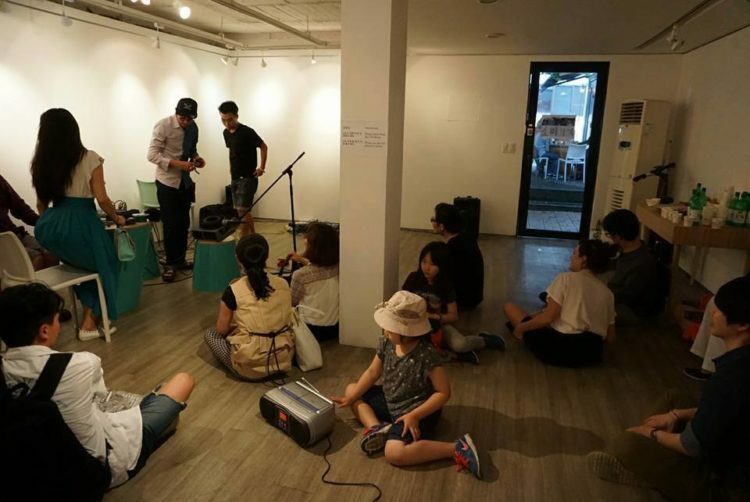 In 2012 and 2013 Lee Daeil facilitated some opportunities for blind people, adults and children, to explore sound focused activities. Ian-John: You facilitated some opportunities for blind people, adults and children, to explore sound focused activities. Tell me about that work. 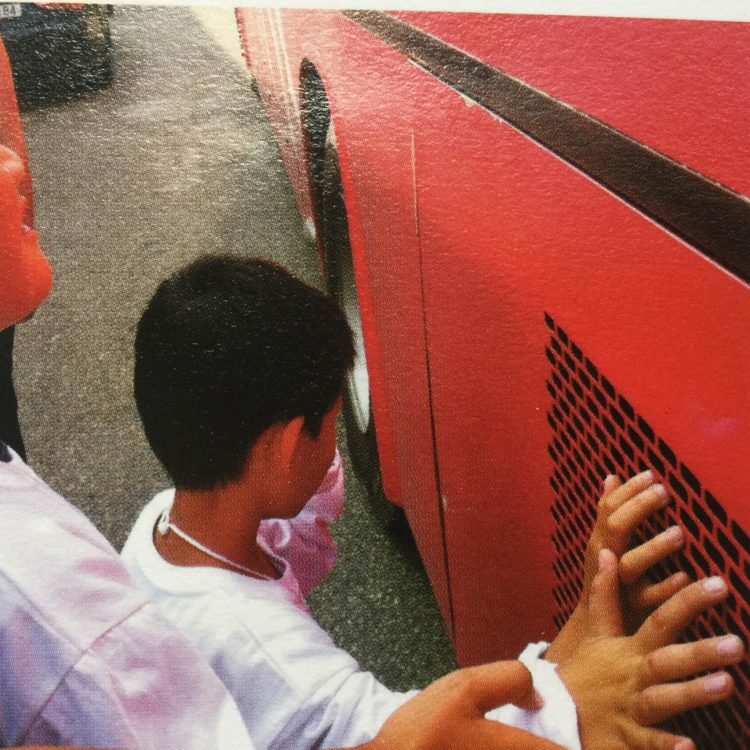 Daeil: â€¦we go on a field trip, with the blind people together, and I wanted them to memorize, to keep the moment in their minds through sounds, what they hearâ€¦and I choose the typical sites, such as very loud places like a traditional market, subway stations or metal factoriesâ€¦and I didnâ€™t ask them nothing, like rehearsals etcâ€¦then later on the concert day I just asked them to recall the memories againâ€¦and surprisingly, this memory was very vivid and clear for them. IJ Did they make field recordings themselves on that field trip? IJ: Tell me about the performance. What was the basic idea? Ian-John: How long was the final recording? IJ: How did you treat your recording during your performance? H: I did a really simple jobâ€¦just loop the thingsâ€¦just loop it and cross-fade it, and use just the simplest effect I thinkâ€¦reverb, delay and filtration, thatâ€™s all. IJ: Did you use any other sounds in the performance? H: Everything is controlled by Abelton Live 9, I think it is the best DAW for field recording and real-time interacting with hardware. And my controller is a Numark Orbit which is a wireless controller, and it has a gyroscope so I can express about the wave (with) my body, â€¦and I use another controller, â€¦it is a foot controller which can connect with expression pedals. RÃ©mi Klemensiewicz: well, firstâ€¦now I donâ€™t have a proper visa here in Korea, so as a foreigner I have to leave the country every 3 months and the easiest thing is, within a day, go back and forth to Tsushima Island (ëŒ€ë§ˆë„), so from Busan you have these very fast boatsâ€¦it only takes 1 hourâ€¦so all the recordings I used during the performance were made in this boatâ€¦and basically the reason why I made it is because the sound of the boats motor, it actually has very rich, wide and complex harmonies in itâ€¦so I just recorded while walking in the boat from the front to the back, getting close to the windows etcetera. I used the Zoom H2N hand recorder. Actually, I didnâ€™t treat my recordings at all, but I did use different tracks. On one hand I had a long recording on the main speakers with this continuous motor sound drone. I also used very small and bad quality portable mp3 speakers where I also played the motor sounds, but with different qualities, like on one we can hear peoples voice, another one will be with a lot of vibrating sounds like of the window etceteraâ€¦All the recordings I used were like a base for me to work with liveâ€¦I played live with different instruments and tools like a synthesizer, effect pedals, contact microphones and my voice as well to actually accompany this rich and harmonious boat sound that somehow gave me the direction that I had to follow. So, I somehow wanted the recorded sounds to lead meâ€¦I played various type of sounds with different textures, but mainly focusing on the toneâ€¦on the general harmony provided by the boat sound. Well there is something very special about leaving a country to another, that are both foreign countries for legal reasonsâ€¦now I am in this very uncertain, unstable and somehow dangerous situationâ€¦so when I got on this boat with this kind of mood, this kind of melancholy feeling, I really got emerged (in) the boat sound. So even though I was recording, I was still into the sound and somehow lulled by it. â€¦the music I played live was somehow the music I had in my head when I was in the boatâ€¦on the other hand, in a more neutral and less emotional wayâ€¦I really wanted to make people focus on the potential of theâ€¦can you say?â€¦non-musical soundsâ€¦I donâ€™t know, for me itâ€™s really musicalâ€¦and just playing with the sounds was a way to insist on the musicality of the recorded sound. So I think it is all about where your sense is, where your attention focus on. The different performances as a whole were interesting, I think, because it was diverseâ€¦I think that what was important was to see the way the recording was actually used live. My work is called â€œì¤‘ê³ ì†Œë¦¬ê°€ê²Œâ€, or â€˜Second Heard Sound Shopâ€™ and is a participation work where gallery visitors can access and use a library of about 70 field recordings that I have made myself over the last 13 or so years. There are boxes of CDRs, each with 1 recording on it, â€¦and these are next to maps which indicate the locations where each recording was made. People can search through the libraries, select recordings and play them on 1 of 8 portable home-use CD players that are also provided. There are no headphones, so the sounds are played through the small speakers, and must re-enter the already sound filled world. 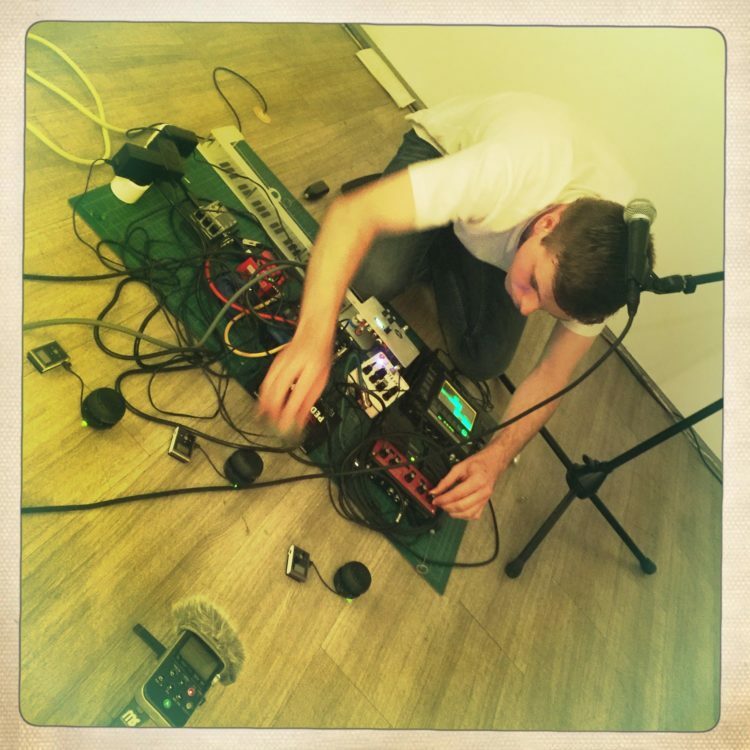 The idea is that more than 1 field recording can be played at the same time, and more than 1 person can use the library at the same time, so some kind of field recordings collage can appear in the spaceâ€¦so it is really an excuse to allow interested people to check out field recordings, and a tool for composition building. Although I label the recordings, and use maps, I actually think of the recordings as being very abstract objectsâ€¦and the compositions made with them seem to me to be highly abstract. The shop has been open in 3 locations so far, for about 5 weeks. In the beginning I was using a portable tape cassette recorder, then a Sony MD recorder and simple stereo microphoneâ€¦and now I use Sony PCM M10 recorders. I often travel by bicycle to locations where I hope to collect recordings, so I canâ€™t really carry any large pieces of equipment. RÃ©mi talks about being compositionally led by the headphone heard sound as he moved through the confined space of a boat. Hanjoonâ€™s improvisation takes its cues from the sense of timing and sonic textures of the ocean. Daeil employs the recording to give dynamic indications to the performers. Second Hand Sound Shop recognizes the basic un-organized, complex and hyper-layered nature of the sound world surrounding us. Each piece is a network of layers. There is the layer of the recording itselfâ€¦the perspectives from which the recording is made. The recording refers to something which appeared and was heard, a spatial and temporal ephemerality. There are contingent factors which led to its making; there is the enigma of our relationship to its content. And there is the layer of how the recording is then deployed so that it can become audible as a recording, itâ€™s â€˜second hearingâ€™. During the performance the field recording is then given as something to be listened to, the representation enters another context. This recording itself gestures towards its own borders, towards what lays before the fade in, what was to be heard beyond earshot, and the space after the fade out (which is the space we now occupy). The aspect of radical ephemerality that characterizes environmental found sounds appears again as an aspect of the performance. Through the performance field recording is exploited for the making of another temporal, ephemeral sound object.